I should be writing. Seriously writing! I’ve another Christmas story deadline looming (about to whizz right past me). What am I doing instead? Procrastinating! I’ve used up valuable writing time preparing that promo video showcasing my books. I hope you enjoyed it. I certainly loved creating it, although I got little sleep the night I started working on the video. Nevertheless, it was fun to create (at least for the first of more than half a dozen edits, anyway). 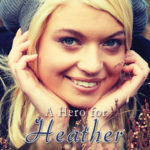 In my video you ‘met’ the heroes and heroines of my romances, though you may have met some of my heroes on previous blogs. Today I thought I’d introduce both heroes and heroines a little further with a short ‘who they are’, ‘what they do’, and ‘how they met’ (and no, none of them follow any of the career choices in my title. Book 2 of my Seven Suitors for Seven Sisters series, A Romance for Rose, comes close with both hero and heroine in the clothing design business—but that story’s still to be written…after the one I should be writing). I love finding interesting careers for my characters, and I’m sure you’ll agree that some are a little out of the ordinary. I’m listing them as they appeared in the video. Adam Carter: South African missionary. Eveliina Mikkola: Finnish 3D Visual Effects Artist. They meet under unusual circumstances at Eveliina’s family summer cottage on the outskirts of Helsinki, Finland. Kyle Sheppard: Professional wingsuiter from New Zealand. They meet in Oslo, Norway at an attempt to break the Guinness World Record in formation flying. Callum McGuire: I’m afraid you’ll need to read the story to find out what he is, and isn’t. For now I’ll just let on that he is a musician in Glasgow, Scotland. Skye Hunter: An opera singer from Sydney, Australia. These childhood sweethearts haven’t seen each other in sixteen years. They meet again in their hometown of Glasgow. Simon Hartley: Zambian wildlife conservationist working with orphan elephants. He lives along the banks of the Zambezi River, a stone’s throw from the Victoria Falls. Lady Abigail Chadwick: Nursery school teacher from England who plans to spend a year in Africa teaching children at an orphanage. Simon and Abigail meet at Livingstone Airport in Zambia. Armand DeBois: Wine farmer in Stellenbosch, South Africa. Taylor Cassidy: Photojournalist working for a wine magazine in New York. 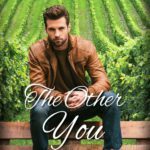 Armand is shocked to meet her in his vineyards early one morning. Ryann Doyle: Blue collar worker employed by a shipbuilder in Belfast, Northern Ireland. Olivia O’Hare: She’s not only a medical doctor, she’s also the Mayor’s daughter. Ryann and Olivia first meet in a parking lot outside the hospital. The next time they see each other it’s under dire circumstances. 7-9. SEVEN SUITORS FOR SEVEN SISTERS SERIES: This series takes place in England. Lord Davis Rathbone: An aristocrat (Baron) who runs his own Financial Investment company. 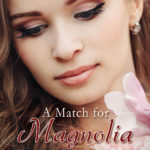 Magnolia (Maggie) Blume: Jewelry designer/manufacturer extraordinaire (and jewelry store owner). They meet when Davis commissions Maggie, to create an exquisite ring for his mother. Paxton Rathbone (PJ): Davis Rathbone’s wayward brother. Heather Blume: A social worker. She moves to Robin Hood’s Bay in North Yorkshire, England to live with her sister for a few months while she helps out at a homeless shelter. Heather meets PJ while he’s down and out on the streets. Christopher Stewart: An Anglican minister from Scotland who takes a position at a church in Robin Hood’s Bay, North Yorkshire. Holly Blume: The interior designer tasked to give Reverend Steward’s church office a make-over before he arrives. They meet very early one morning. I’ll say no more. 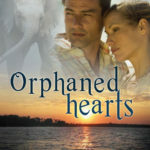 Sarah Jones: Romance novelist from South Africa. They meet when Sarah decides to exchange her sunny African Christmas for a cold, snowy one on the other side of the world in the hopes of getting a Christmas novel on a deadline written for her publisher. Justin ‘The Phoenix’ Taylor Former: Former British rock star from London, England. Ella Anderson: Barista and coffee shop owner. They meet in Ella’s coffee shop, although Justin knew about her before he left England. In a hurry. Mirabelle Kelly: Noah’s fiancée who frets over whether it will rain on her parade as they plan their summer wedding (in the middle of South Africa’s rainy season). 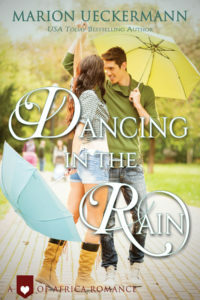 Subscribe to my newsletter and receive a FREE copy of Dancing in the Rain. I fell in love with each of these characters as I wrote their stories. I hope you fall in love with them, too, when you read them. You’ll find them all on my Amazon author page. Thanks, Wemble. Hope you get to read them all. If I’m not mistake, you won my Glasgow Grace in the Fall giveaway (I just need to get your email addy to send it … not sure if I missed the notification). I think you used your time wisely, Marion. I loved the video! Thanks, Jill. Of course, now I use too much time watching it LOL. Delightful and fun, Marion! Thanks for the synopsis of each of your stories. 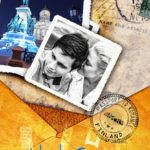 I travel the world with your inspirational romances. Enjoy your unique characters from all walks of life and with intriguing careers. Marion, your talent is amazing! Writer, promoter, designer, and video production! Aw, thanks Renate. I’m planning a sudden visit to Scotland, England, possibly Ireland, and Finland in about two weeks time for 7-8 weeks. I’m hoping to do much research, visit the places in my stories I haven’t been to yet in person, and of course, somehow write another 2-3 stories as well. Maybe I can take Flat Stanley with me on my journeys. That would be great! Student will love that! Project does till Thanksgiving – end of November! Have fun on your trip and thanks for your generosity of spirit! Thanks for sharing about your characters and how they met. I like the fact they are all different people and yet some are connected. Thanks, Priscila. Yes, my Seven Suitors for Seven Sisters series have connected characters. It’s fun to do, but requires quite a bit of planning upfront. You’re welcome, Kaleen. Glad you enjoyed it. Wow, Marion! You’ve been busy. There’s nothing like seeing the volume of work all in one page (or one video!) to appreciate the breadth of your work. Congrats, and have a great trip. Inspy Romance will want a photo tour! You’re welcome, Beth Erin, and thanks so much for following and subscribing. I hope you enjoy the free short story. I love touring the world with you and meeting all your characters. Thanks, Linda. And I love having you along for the journey. I loved reading Melbourne Memories. Thanks for putting this together and showcasing your books and characters! Love traveling the world with your books and your characters. Thanks, Ann. And I love having you with me on the journeys. Thanks for the blog. All these books sounds so interesting. I’m going to enjoy reading them! Thanks for sharing them with us. BTW I really enjoyed the video! Great job! Thanks, Marilyn. I hope you get to read them all. Enjoy the armchair travels.